I’m very into skincare, which probably began when I first started experiencing “adult acne.” That’s a whole different story. 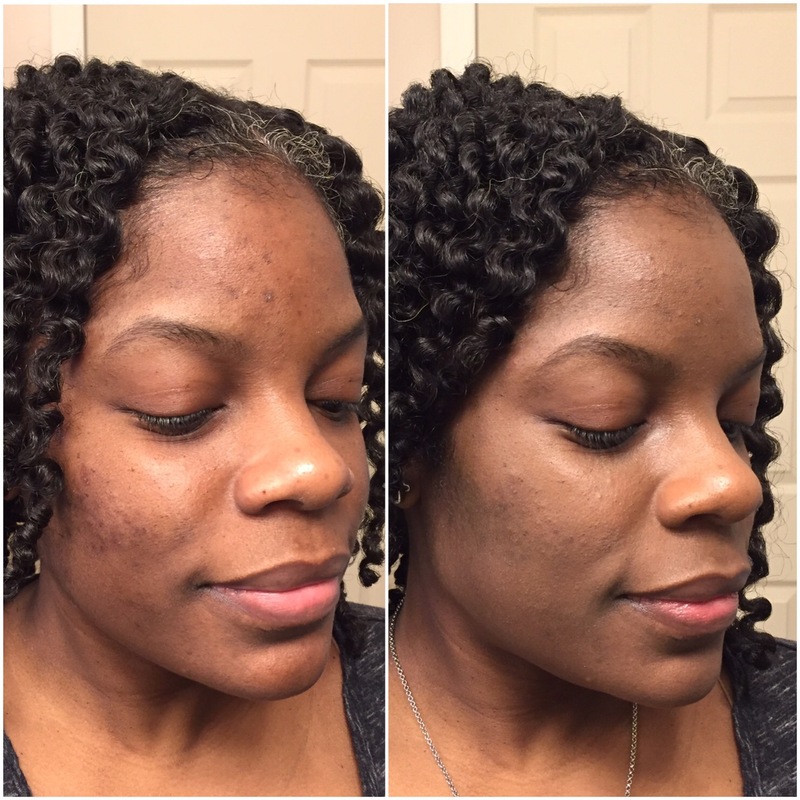 Due to my adult acne, I experience hyperpigmentation after breakouts. I found that using spf helps to reduce the discoloration. Don’t get me wrong, the scarring still exists, but it isn’t as dark as it had been without the use of spf. 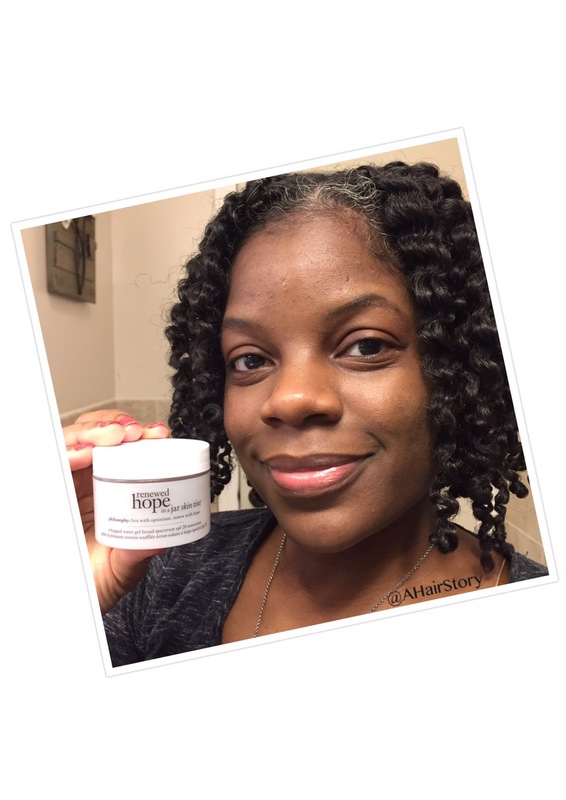 My normal morning routine has been to apply Philosphy Hope in a Jar moisturizer after washing my face. I then apply a Neutrogena sunscreen with spf 30, followed by a matte face powder to smooth out my complexion and to cover the hyperpigmentation. The powder also helps to keep me from looking oily. 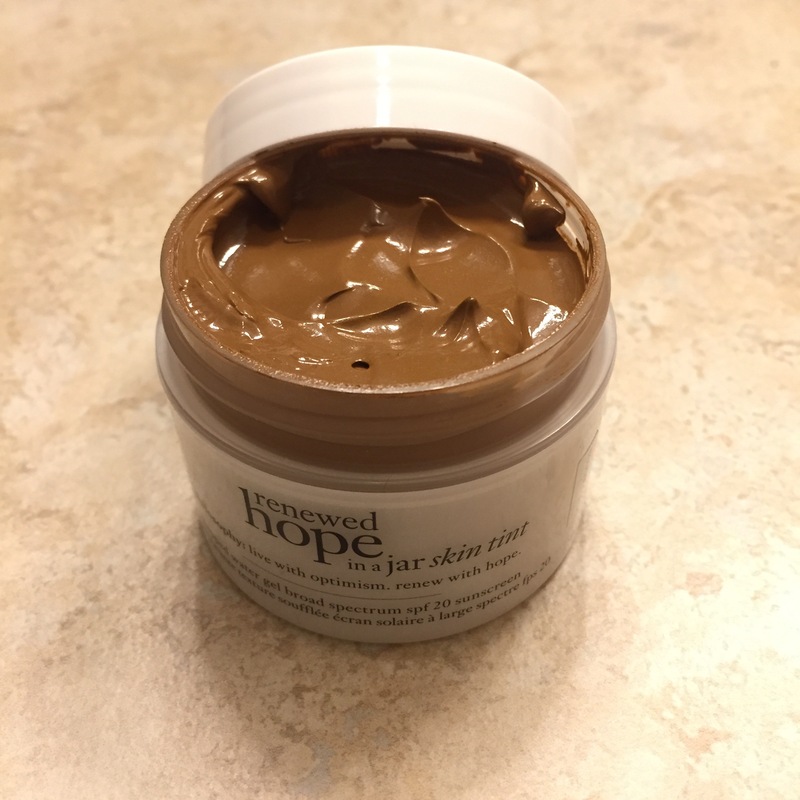 When I discovered Philosophy’s Renewed Hope in a Jar with skin tint, I was excited because it was like all three of my products in one… moisturizer, spf and skin tint. I purchased it from Sephora for $39 in the color Cocoa. That’s the darkest brown. It looked like it would match my complexion well too. 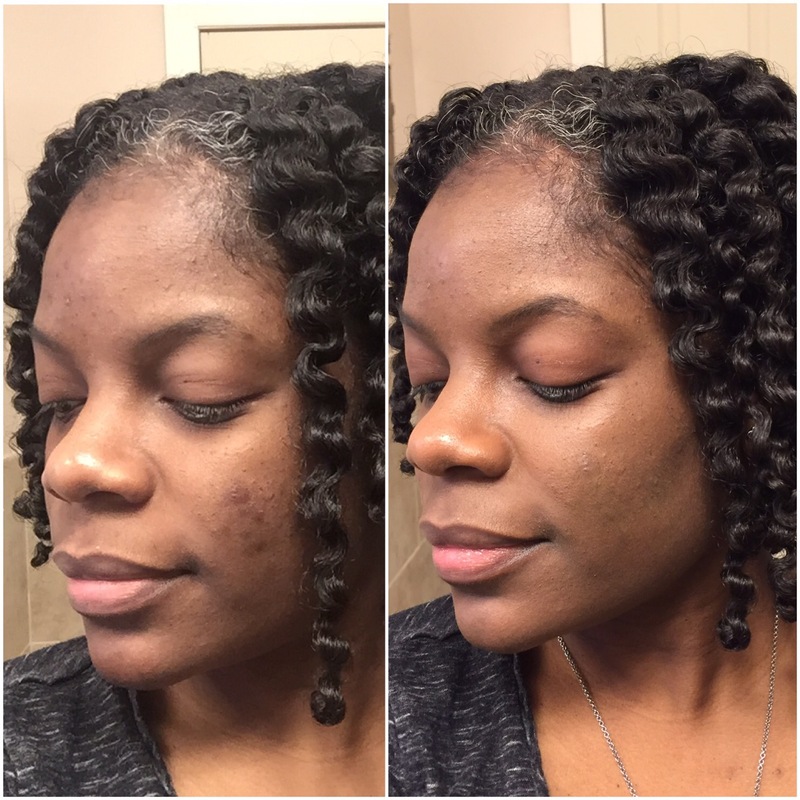 I was pleasantly surprised by the product. 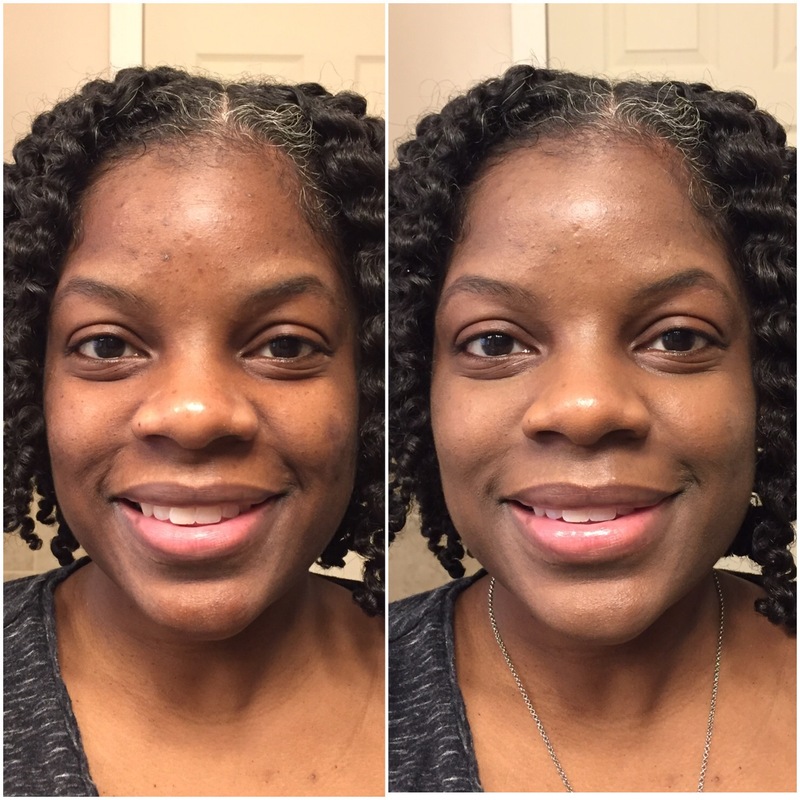 It covered my blemishes and didn’t feel oily when applied. It gave me a nice dewy look. The color blended well with my complexion. I applied it with my finger tips the first time, but I believe it’s best applied with a blender or makeup sponge or your personal preference for applying something like liquid foundation. It’s very light coverage, but the color is buildable, so you can apply more to areas where you feel like you need a little more coverage. It’s definitely worth a try. There are 5 different shades to choose from. Let me know what you think!